Colette Kaufman in the role of a Russian. This article first appeared in the Nov. 18, 2016 edition of The Town Courier. 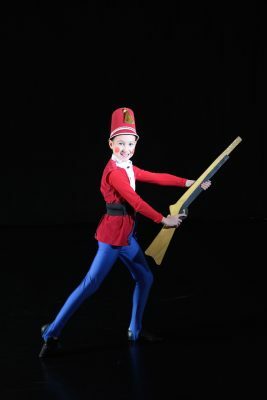 Metropolitan Ballet Theatre’s 28th annual production of “The Nutcracker” opens at the Robert E. Parilla Performing Arts Center, Montgomery College on Dec. 2. Close to 100 dancers will have been rehearsing for 11 weeks to present six shows over two weekends—Dec. 2-4 and Dec. 9-11. Artistic Director Elizabeth Odell Catlett estimated that more than 100 hours of rehearsal will be completed before the curtain rises. 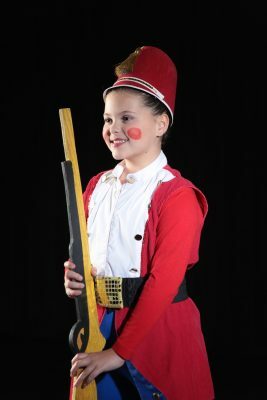 “When you’re in ‘The Nutcracker,’ you meet a lot of new people,” noted Ella Kaufman, 10, who plays a lieutenant toy soldier in her fourth “Nutcracker” production. New this year is inclusion of younger dancers in the challenging “Waltz of the Flowers.” Catlett explained that this is the hardest dance in the ballet at seven minutes long, and it is usually done by professional dancers and the most advanced students. 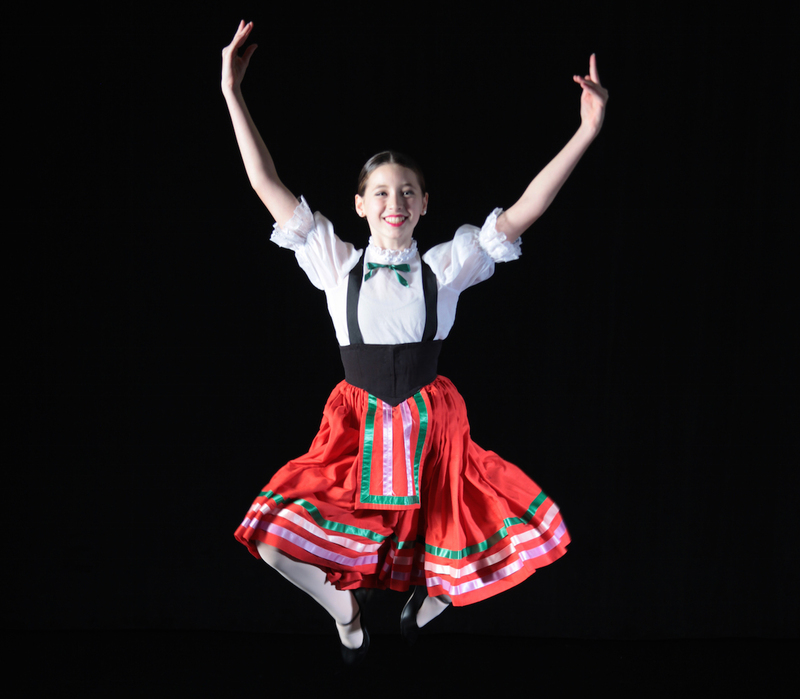 MBT’s 28th annual “Waltz of the Flowers” will feature four 10-year-old dancers. “It will be exciting to see the sweetness” of the younger dancers, Catlett said. Members of the community appear each year as celebrity guest Mother Gingers. This year’s celebrity guest cast includes Gaithersburg City Councilmember Robert Wu, Montgomery County Council President Nancy Floreen, Melanie Alnwick from Fox 5, Quince Orchard High School football coach John Kelley, NBC Washington anchor/reporter Angie Goff and children’s entertainer The Great Zucchini. The 28th annual production also includes one female and three male professional dancers. Ella Rommel’s mother, Tonie, concurred. “MBT does a lot of outreach,” she said, adding that students just performed excerpts from “The Nutcracker” at the Ring House in Rockville, an assisted living facility for seniors. 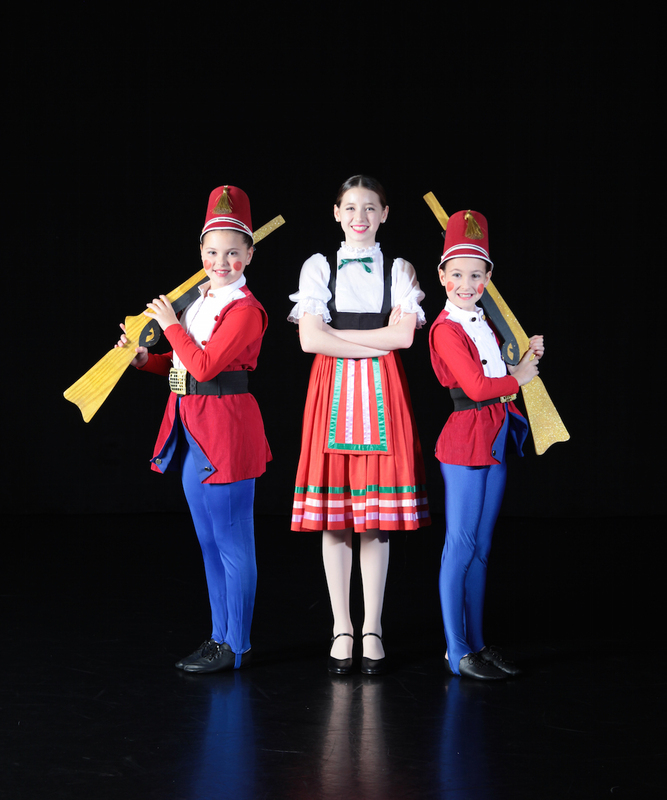 Other outreach efforts include the Girl Scout Nutcracker Patch chats after select performances (Dec. 3, 4 and 10). “Every year they do the Girl Scouts talks,” explained Michele Kaufman. “They give background on ‘The Nutcracker,’ what it’s like to be in the production, the composer and music, and the girls talk.” Kaufman said she is impressed by how articulate the dancers are, and how confident they are when speaking before a group. Confidence that is built by MBT’s Big-Little program that pairs older and younger dancers in supportive relationships. “There’s an SGA (Student Government Association) within the MBT—Big Sister-Little Sister nights out, outreach program coordination,” explained Michele Kaufman. “You communicate and watch each other’s classes or sometimes participate if it’s a little class,” said her sister Ella. All of which forges friendships. “I have a lot of great friends at MBT,” said Samantha Stillwell, 14, who plays Clara in her sixth “Nutcracker” production. 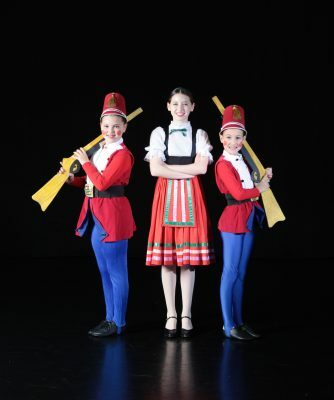 Metropolitan Ballet Theatre presents “The Nutcracker” Dec. 2-4 and 9-11 at the Robert E. Parilla Performing Arts Center, Montgomery College, 51 Manakee St., Rockville. For tickets, ranging from $10 to $23, call 301-762-7157 or visit http://mbtdance.org. View this event on CultureSpotMC here.